The Andrew Lloyd Webber Foundation today announced that tenor Alexander Grainger and soprano Alexandra Lowe are the first to have been awarded the Andrew Lloyd Webber Foundation Sarah Brightman Scholarships. The scholarships will support them in their postgraduate studies at the Royal Northern College of Music on the two year Master of Music Programme. 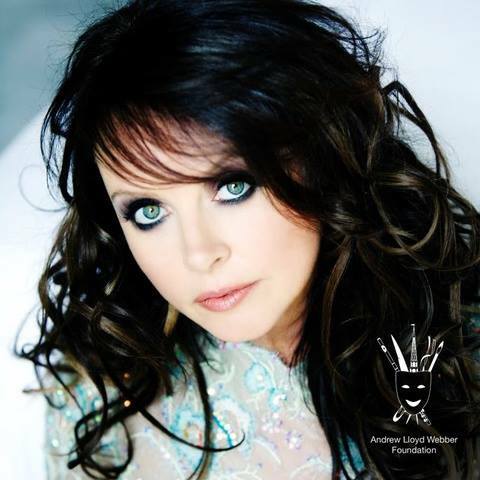 Earlier this year, Sarah Brightman made a donation to the Andrew Lloyd Webber Foundation from the proceeds of the sale at Christies of two pieces of tiger jewellery by Cartier, formerly from the collection of the Duchess of Windsor, which had been given to her by her then husband Andrew Lloyd Webber. The Foundation decided to use this donation towards music scholarships supporting a soprano and a tenor in their studies. Alexander Grainger and Alexandra Lowe have just graduated from the BMus at RNCM, and will start their postgraduate studies in the autumn. The RNCM School of Vocal Studies and Opera is renowned as one of the world’s most inspiring departments in a conservatoire in which to pursue vocal and operatic training. Both Alexander and Alexandra will study on the two year Master of Music course which offers intensive advanced study with an international teaching faculty, masterclasses with leading performers, coaches and directors, a range of world-class performance opportunities including two fully staged operas, and varied professional experience with RNCM partners such as Opera North. Alexandra commenced her classical training at the Junior Royal Northern College of Music on a scholarship, and she was awarded the Singer of the Year in 2011. She then secured a scholarship to RNCM for her undergraduate degree. RNCM roles include Helena in Britten's A Midsummer Night's Dream, Hélène de Solanges (Véronique) and Giulia (La Scala di Seta). In December 2014 she played the role of Sylvaine in the RNCM’s production of The Merry Widow. Alexandra has raised over £25,000 for charity (including Help for Heroes and Music for Hospitals) through a series of annual concerts. ‘It is crucial that proper training is available for the performers of the future. I am grateful for Sarah’s donation and it fills me with great joy that my Foundation can help Alexandra and Alexander’s fulfil their potential at RNCM and take vital steps towards a professional career’. ‘We are delighted that Alexandra Lowe and Alexander Grainger, both highly talented, exciting young artists, have been awarded Andrew Lloyd Webber Foundation Sarah Brightman Scholarships to support their postgraduate training in opera studies at the RNCM. This year, eleven scholars who were supported through their performing arts studies by the Andrew Lloyd Webber Foundation have graduated. Their plans range from being a swing in the Blackpool and West End company of Cats (Oliver Ramsdale), to understudying Mabel in Mack and Mabel at Chichester Festival Theatre (Emily Langham) to playing the role of Feuilly in the West End production of Les Misérables (Luke McCall). Luke McCall is also understudying for two leads in the musical; Enjolras, the leader of the barricades, and Jean Valjean, making him one of the youngest ever performers to understudy for this role. In 2010, the Foundation embarked on an active grant giving programme and has now awarded grants of over £9m to support high quality training and personal development as well as other projects that make a real difference to enrich the quality of life both for individuals and within local communities. Significant grants include £3.5m to Arts Educational Schools, London to create a state of the art professional theatre, £1m to The Architectural Heritage Fund, £1m to The Music in Secondary Schools Trust and over £350,000 annually to fund 30 performing arts scholarships for talented students in financial need. The Foundation owns two important paintings, a Canaletto “Old Horse Guards from St James’s Park”, currently on exhibition at Holburne Museum, Bath and a Stanley Spencer “The Garage” on exhibition at The Stanley Spencer Gallery in Cookham, Berkshire. Complementing its role as a conservatoire, the RNCM is also a thriving live music venue offering unparalleled opportunities for students to perform regularly to public audiences and to work alongside professional musicians and visiting artists. Housing four major performance spaces, including a professionally-staffed, fully-equipped Theatre and recently refurbished Concert Hall, the College presents in excess of 400 concerts each year ranging from RNCM orchestras and ensembles and large-scale opera productions, to a host of touring companies and external hires. Alexander Grainger is a 23 year old tenor who has recently completed his undergraduate study with Paul Nilon at the Royal Northern College of Music in Manchester. During his time at the College, he has taken the principal role of Camille in the RNCM production of The Merry Widow by Franz Lehar and performed in the chorus of Paradise Moscow (Shostakovich) and Orfeo ed Euridice (Gluck). On the concert platform Alexander has appeared as a soloist in Mozart C minor Mass, Brahms Zigeunerlieder op 103, Rossini’s Stabat Mater and Handel’s Messiah. Alex is currently performing in the Buxton Festival Chorus in productions of Donizetti’s Lucia Di Lammermoor and Verdi’s Giovanna D’arco and shall be joining Clonter Opera to deliver a programme of workshops. Alexandra is a classically trained soprano from Lancashire. Born in Mallorca, she began singing at the age of 13 when she became a prominent member of Centre Stage Productions (Palma). Following her success in musical theatre, Alexandra turned to classical music and opera in 2008. She commenced her classical training at the Junior Royal Northern College of Music on a scholarship, and she was awarded the Singer of the Year in 2011. Having secured a scholarship to the Royal Northern College of Music – where she has just completed her Bachelor of Music degree with a first – she is developing her career in opera with the support of her singing teacher Sandra Dugdale. She has been awarded the Elsie Thurston Song Prize (2012), the Joyce Budd Prize at the Kathleen Ferrier Young Singers Bursary (2012), the Oncken Song Prize (2013), the Alexander Young Song Prize (2014) and the Joyce and Michael Kennedy Award for Singing Strauss (2015). Recent roles include Mabel (Pirates of Penzance), Angelina (Trial by Jury) and Gianetta (The Gondoliers), all as part of the International Gilbert and Sullivan Festivals at Buxton Opera House and Harrogate Royal Hall. RNCM roles include Helena in Britten's A Midsummer Night's Dream, Hélène de Solanges (Véronique) and Giulia (La Scala di Seta). Alexandra was part of the chorus in the RNCM production of Paradise Moscow by Shostakovich and in December 2014 she played the role of Sylvaine in the RNCM’s production of The Merry Widow. On the concert platform works include Handel’s Messiah, Faure’s Requiem, Karl Jenkin’s The Armed Man and Vivaldi’s Gloria. Other professional appearances have taken place at Ripley Castle, Bolton Abbey Priory, Fountains Abbey, The Mansion House and Coniston Hall. Alexandra has raised over £25,000 for charity through a series of annual concerts. Some of the charities Alexandra has supported over the years include Help for Heroes, Music in Hospitals, Aiming High for Disabled Children, The Breast Cancer Haven (Leeds), Combat Stress, the Being Bel Trust, Harrogate Young Carers and The Boyle and Petyt (School) Foundation.